Facebook has reported slow growth this quarter, most likely a result of the data leaks, fake news and hate speech the embattled platform has faced over the last two years. 1. Continued de-prioritization of the news feed. Although communicators have (hopefully) already adapted to a Facebook algorithm that only allows for 1% organic reach, Zuckerberg told investors the company was planning to distance its business model even further from the timeline structure, citing user behavior. "Public sharing will always be very important, but people increasingly want to share privately, too," said Zuckerberg. It's also a good communications move for Facebook, according to James Nickerson, lead instructor, digital marketing at General Assembly. "It's no surprise Facebook makes these announcements days before the midterms," said Nickerson. "Facebook is turning away from the News Feed we all know, love and love to hate, and toward other platforms like Watch, Stories, Messenger and Workplace. They don't have the albatross of security breaches and political skullduggery around their necks like the News Feed does. Facebook is turning away from the News Feed because of its PR risks." The takeaway: Communicators should be wary about pouring resources into paid content that few users will see on their newsfeeds. If Facebook is de-prioritizing news feed content, communicators' social media budgets would likely be best spent elsewhere. 2. New focus on Stories. Functioning similar to Instagram Stories, with ephemeral content that disappears every 24 hours, Facebook Stories is picking up steam among users, said Zuckerberg. 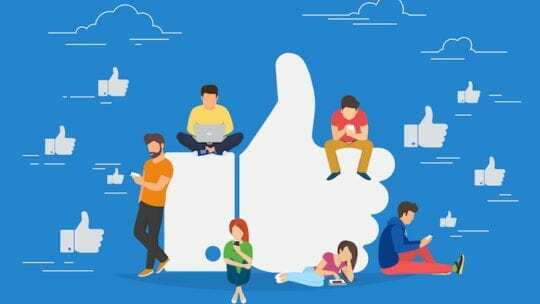 People are now sharing over one billion Stories on Facebook every day, and 62 percent of users said they have become more interested in a brand or product after seeing it in Stories, according to a new study published by the company. The takeaway: Stories ads might succeed where News Feed boosted posts have failed to hit communications goals, especially if the company is hoping to woo more advertisers there. Stories ads are also cheaper, although The New York Times reported analysts' wariness around jumping in headfirst: "Tools to make ads for 'Stories' are not fully developed yet, and it is easy for users to ignore ads on the service or skip the service altogether." 3. Going all in on video. Facebook pointed to video as a source of future growth on the platform, specifically in relation to Stories video and Watch, which continues to grow its library of programming. Previously, Facebook had limited video advertising—mostly because users were flocking to viral video content rather than interacting with other users—but those floodgates appear close to opening. "The things that have caused us to limit it are on the one hand, when we see passive consumption of video displacing social interactions," Zuckerberg said on the earnings call. "We needed to figure out a way that video can grow but people can also keep on interacting...And now I think we’re starting to work through what the formula is going to be so we can take some of those rate limits off and let video grow at the rate that it wants to." The takeaway: Shift your advertising dollars from News Feed photo stills and text to video if you have not already done so. Consider investing in Watch ads, too, which are built directly into video programming being consumed by existing audiences. 4. Renewed investment in Messenger and WhatsApp. Messenger bots were the talk of the town in 2o17, but many companies have yet to adopt the tool in their direct-to-consumer marketing. Facebook is looking to change that. Messaging has become a new sort-of-private news feed, where users send one another content they might have once posted to all of their friends publicly. "People share more photos, videos, and links on WhatsApp and Messenger than they do on social networks," said Zuckerberg. The takeaway: Test out Messenger Inbox ads, which the company has begun to monetize, and look into the enterprise tools Facebook is offering businesses to message users directly.